New research released to mark Chiropractic Awareness Week (9 – 15 April), has found that nearly half (47%) of people in the South West of England are currently experiencing back or neck pain. 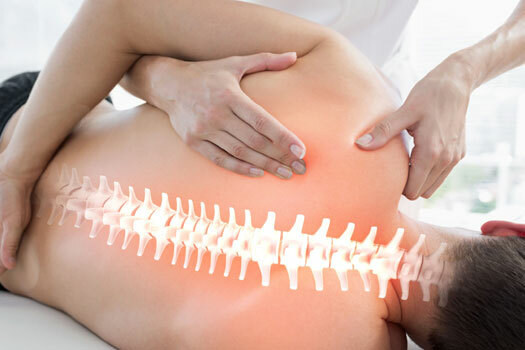 There has also been a notable rise in the number of people aged 31-40 in the region experiencing back and neck pain. The BCA’s research findings align with what I see at Cleve Chiropractic on a day to day basis, however it’s particularly interesting that lifting and carrying was the most cited trigger for neck and back pain. It really highlights the importance of maintaining a strong and active body that can move well and cope with the demands you are making of it. For those of you in Bristol who are finding that sedentary lifestyles and sitting for long periods of time are causing you a problem, I would encourage that you make a change! We are designed to move and if you hold your body in any position for an extended period of time, it is likely that you will feel pain. I find that patients are increasingly reporting sedentary lifestyles and work lives that have them sat at their desk all day, so to help prevent back and neck pain occurring in these patients, there are a number of simple exercises and small changes I recommend are incorporated into your daily routine. For example, shrugging and circling your shoulders whilst sitting and taking the stairs are easy ways to improve your back health – these may sound simple but I know from my patients that they really work! Take a break: When sitting for long periods of time, ensure you stand up and move around every 30 minutes. When at work, also make sure your desk is set up to support a comfortable position. This is different for everyone so if you don’t feel comfortable in your current set up, try altering the height of your chair or screen. Keep on moving: Physical activity can be beneficial for managing back pain, however it’s important that if this is of a moderate to high intensity that you warm up and down properly to get your body ready to move! If a previous injury is causing you pain, adapt your exercise or seek some advice. Activities such as swimming, walking or yoga can be less demanding on your body while keeping you mobile! Lifting and carrying: Remember to bend from the knees, not the waist when lifting heavy items. Face in the direction of movement, and take your time. Hold the object as close to your body as possible, and where you can avoid carrying objects which are too heavy to manage alone, ask for help or use the necessary equipment. Sleep comfortably: The Sleep Council recommends buying a new mattress at least every 7 years. Mattresses lose their support over time, so if you can feel the springs through your mattress, or the mattress is no longer level, your mattress is no longer providing the support you need. Everyone has different support requirements, so when purchasing your mattress ensure it is supportive for you. If you share a bed and require different mattress types, consider two single mattresses which are designed to be joined together, to ensure you both get the support you need. All of us at Cleve Chiropractic recommend that, if you are experiencing pain for more than a few days you should seek professional help and when needed we can assess you and help to get you moving again without pain.